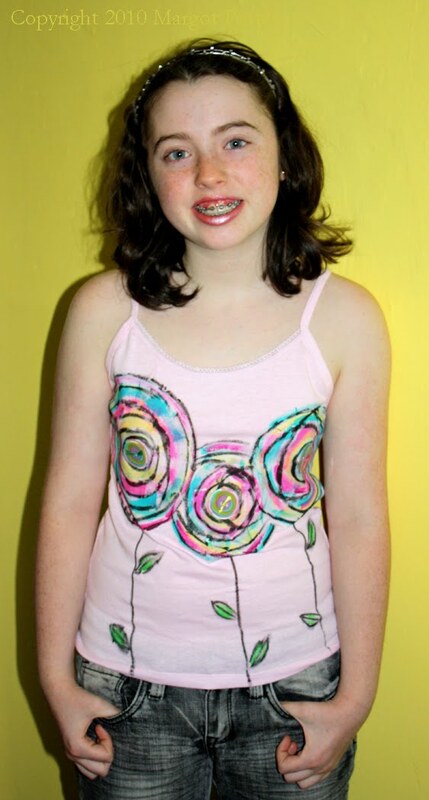 Summer is almost here and it’s time for tank tops, flip flops and shorts. Yippee! Here’s a fun project teens can do in the back yard with their friends. 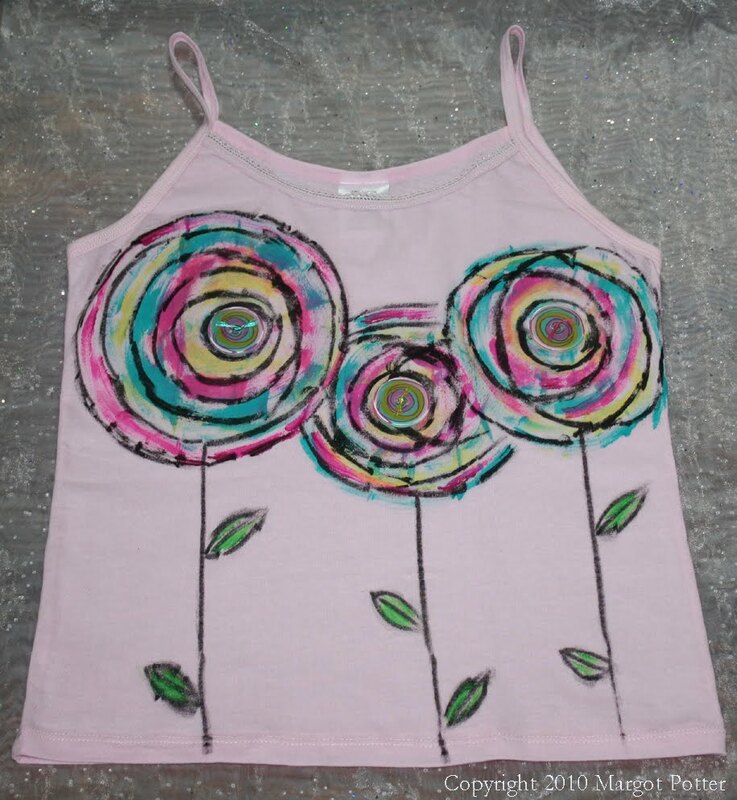 Just buy a bunch of inexpensive tanks or t’s and give them a pile of Tulip 3D Fabric paints andTulip Fashion Graffiti Big Phat markers and let them make their own wearable works of art. This isn't a 'make it perfect' kind of project, it's meant to be playful, so don't worry about coloring inside of the lines. My color palette and design were inspired by the charming new graphic buttons from La Mode. Tulip fashion paint comes in virtually every color so it’s easy to match the button colors. I had so much fun with this; I think I’m going to have to make one for myself! 2. 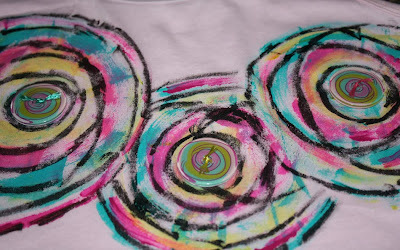 Using the button pattern as inspiration, paint three flowers with graduated circles of color in pink, teal and yellow. Change the brushes out between colors. 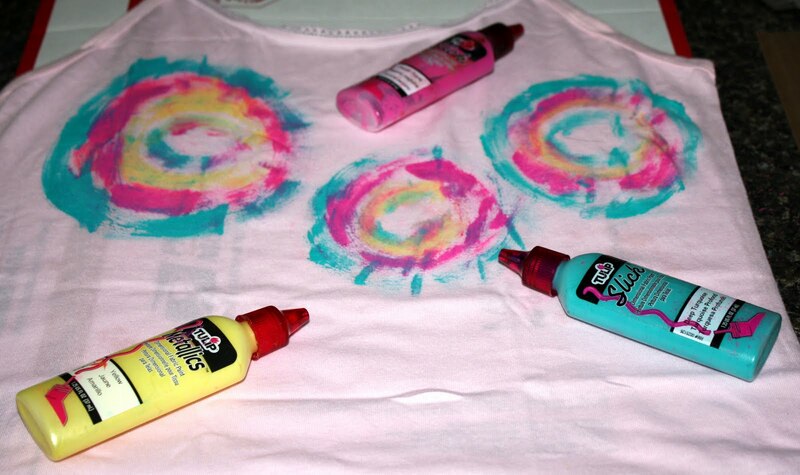 Allow paints to dry. 3. 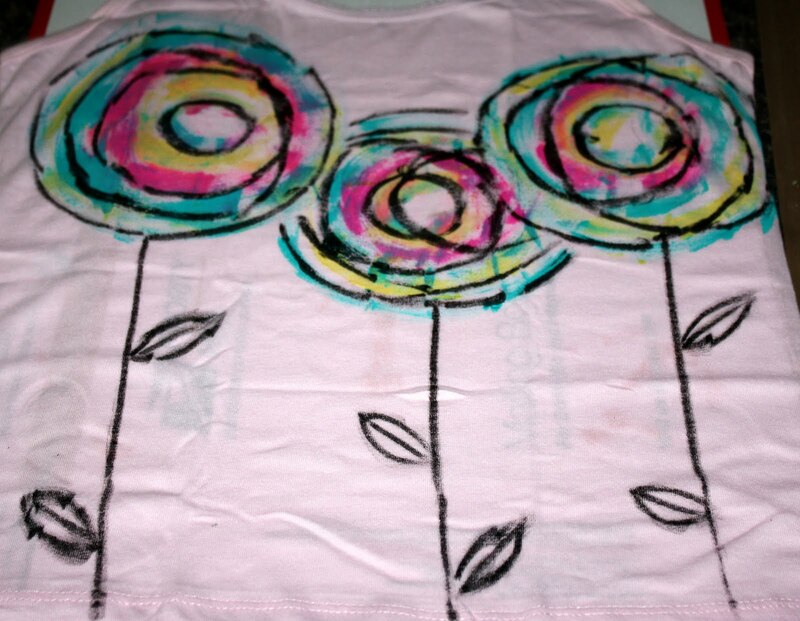 Use the marker to draw graphic circles to define the flowers. Draw stems and add leaves. Use green paint to color inside of leaves. Allow to dry. 4. Glue buttons to center of flowers. Allow glue to dry. 5. 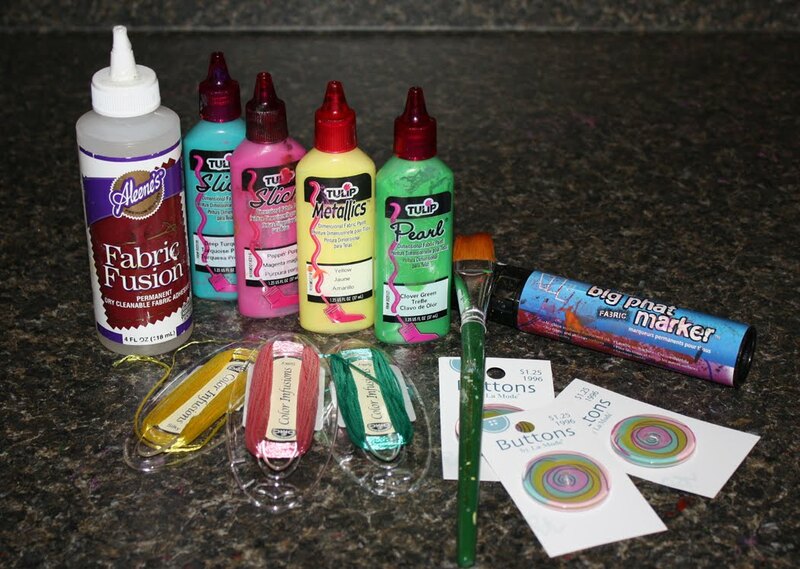 Add embroidery thread accents to each button, one yellow, one teal and one pink. love this! So would my daughter who is 9, thanks for sharing! Beautiful embellished tank topThanks for sharing, you are very creative.